The Campden Stacking Chair will compliment any commercial environment perfectly. The coated aluminium frame is shaped in a contemporary fashion with slightly curved and angled back supports to offer the ultimate in comfort value and ergonomics. 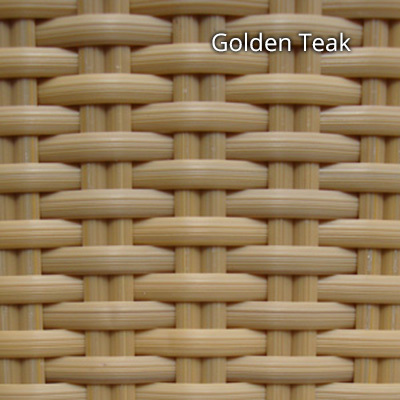 Combine this with the tightly hand woven outdoor rattan that makes up the back and seating area along with the armrests finished with a teak strip and you've got an armchair that's great for use both outdoors and in. 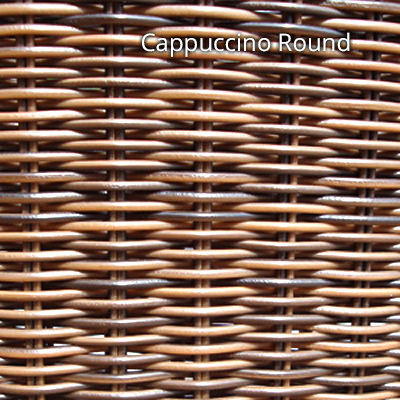 You choose from two colours - Dark Cappucino or Golden Teak. The use of coated aluminium also makes the chair extremely light and rust free when used outdoors. And the capped feet offer further protection all round. 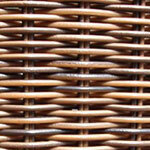 The outdoor rattan is manufactured by Hularo who are German company recognised for their quality synthetic fibres. UV Stabilised to offer that colour-fast, non-fade quality over time. Tested to a wide range of temperatures to guard against cracking or splitting with exposure to the elements. Tested for suitability of use with all types of water including sea and chlorinated water. Their synthetic nature makes them a cinch to maintain over time. All fibres are 100% recyclable. For further help and support please feel free to call our friendly Sales Team based in the Midlands. Dimensions are of the individual chairs.